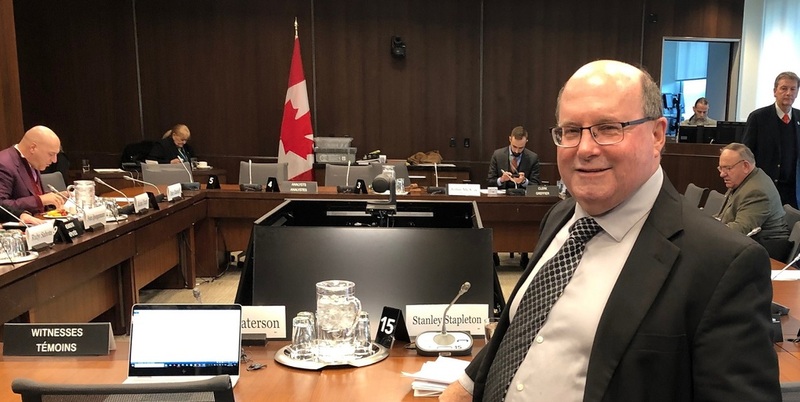 USJE National President Stan Stapleton presented on Bill C-83 to the Parliamentary Standing Committee on Public Safety and National Security yesterday. The new legislation proposes changes to the Corrections and Conditional Release Act (CCRA). Stan Stapleton called for increased staffing resources in federal prisons to effectively implement Bill C-83. Here is his presentation. I am a 30-year federal employee of a maximum and a medium security federal prison. I am also national president of a union that represents thousands of public servants who go to work every day to prepare offenders for their safe return to society. In 1980, I started my career as a Correctional Officer – at Drumheller medium security and Edmonton maximum security institutions. After 22 years, I left the Correctional Officer ranks to become a social programs officer and was awarded the Queen’s Golden Jubilee medal and the Corrections Services Canada Exemplary Service medal. Today we’re talking about Bill C-83 measures to make Canada’s federal prisons more humane – and to improve offenders’ chances for rehabilitation. USJE believes Bill C-83 is a good step in this direction, however, from my experience I can tell you that new resources will be needed to ensure its success. From what we understand, there are $448-million earmarked to support these changes.From USJE’s perspective, some of these funds must be used to recalibrate ratios of parole officers and program officers to offenders. Currently for parole officers, the ratios are 30 to 1 for maximum security institutions, 28 to 1 for medium security institutions and 25 to 1 for minimums – with no backfilling for sick days or annual leave.This means that when a parole officer goes on holiday or sick leave, the offenders have received significantly less support during that time. USJE believes strongly that the ratio should be 20 to 1 for parole officers to be able to provide proper rehabilitation to offenders.We also believe backfilling must be reinstated. For program officers working in the SIUs, the ratio can be no more than 3 to 1. And at times, due to the complexity of the offender, the ratio will need to be 1 to 1. The changes Bill C-83 proposes are positive. It calls for Structured Intervention Units that will provide for more meaningful human interaction with individuals, while still allowing for the management of extremely violent offenders. This includes greater medical attention, access to programs and more "face-time", allowing for more human and rehabilitative treatment. That’s important because, in all my years working in federal prisons, I’ve always felt that you need to treat people like people. My experiences with many previous offenders have been positive. When I encounter former inmates who are back in the community, they approach me and thank me for having treated them like people. This has given me a great deal of job satisfaction. In our current system, there’s little meaningful human interaction for individuals in segregation. Offenders are locked up for 22 hours at a time. This is not rehabilitation, in any sense of the word. In my experience of having worked in segregation for almost four years, I don’t recall seeing one offender come out of this system of segregation a better person than when they went in. Preparing offenders for their eventual return to society requires real interaction. That means programs, counselling sessions, mental health care and more facetime with individuals. It means providing this interaction to even the most challenging offenders. Bill C-83 addresses these issues but as it moves forward the system needs to be better resourced to implement the proposed changes. Having been so long in service, I’ve seen the toll that funding cuts have taken on programs and staff. I’ve been through the Deficit Reduction Action Plan (DRAP) under the former government. Under DRAP, resources and facetime with inmates were significantly diminished. This has left parole and program staff in the current system already overburdened. USJE believes this new legislation is a step in the right direction, provided the resources we’ve identified are put in place - to improve offenders’ chances for a safe return to Canadian communities, and to ensure the safety of all employees working in federal institutions.